This piece was written for the French magazine Panic, No. 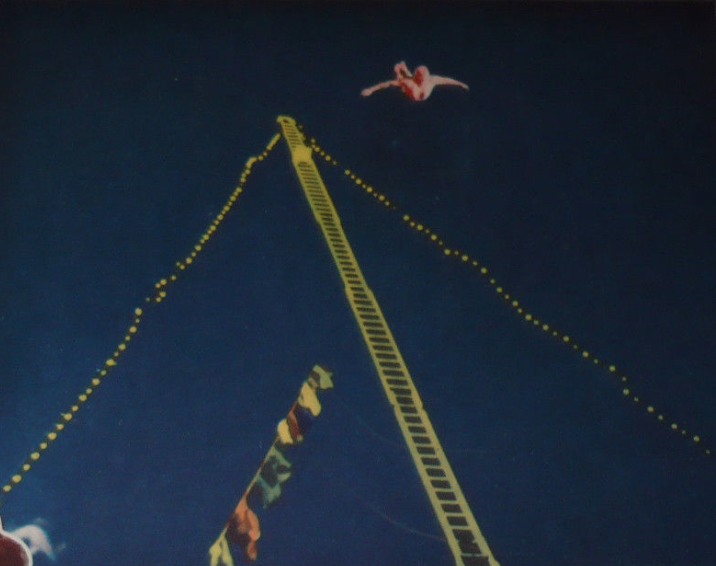 3, Mar./April '06, as part of an ongoing series "Chronique cinéphile" conceived and collected by Nicole Brenez. 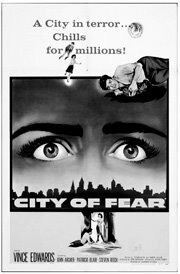 Amidst the wars of the world (just one world) I see CITY OF FEAR (Irving Lerner, 1959). This is going back a bit in what's called film history, but I've just seen the film for the first time. It rages on. The city and the fear. It's a film that shows secrets, large and small. The secret lies and exaggerations of a police report about a dangerous criminal's prison break, critiqued by the escaped convict himself as the report streams from the car's radio. An image of two different sides of the story: official and sanctioned (radio/media), and the suffered and experienced (critique/action). A vast State secret rumbles beneath the rest of the narrative: the canister the convict has stolen from prison just before escaping is not the $1 million worth of heroin that he thinks it is, that he needs to sell in order to live the good life. It's radioactive Cobalt that was in the prison, it's banally explained by the cops, for experimental use on the prisoners. Hoods for sale. This Mengele treatment of the incarcerated continues in US prisons to this day. Thus we have Threatening Danger, Fear, then...Catastrophe. The ultimate goal of the State's radioactive experiment is efficient and contained annihilation. But of elsewhere! not here! in Los Angeles! The final cinematographic scene of the film predicts 'zero': a shot of a radiation ridden corpse, draped with a black sheet, framed like a landscape, a "Caution: Radiation Area" sign placed against the static hilly form of his body. Dissolve to a panorama of the Los Angeles basin, flat and twinkling. ...yes, apart from all that, I also mention this film today because it shows something people in the US do everyday but that's seldom shown in American films: citizens talking back to their radios and televisions. Refutations yelled at the machines by those who know the truth because they live in the consequences of it. One has to marvel at one horrifying bond between cinema and radiation sickness posited by the poster advertising the film: Chills for millions. Like cinema itself, cinephilia is nothing unless it fabricates a bond with life. Across films, across continents, across thoughts, justices and injustices -- that's all. "people talking back to their radios and televisions. Refutations yelled at the machines by those who know the truth because they live in the consequences of it." Extremely well put; cathartic to read. Thank you.